Cherry blossom (sakura) is a beautiful tree, known as a symbol of Japan. It’s also called a “Japanese cherry”. The Sakura flowers symbolize the clouds in this country. 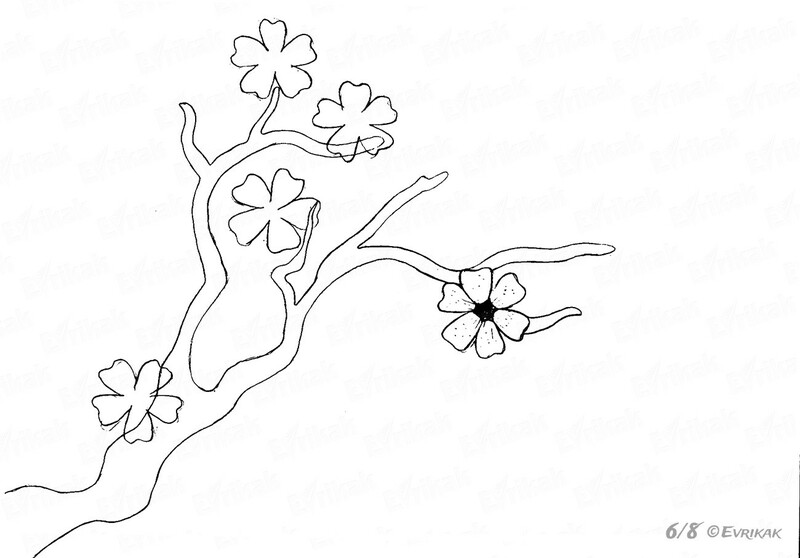 Today we offer you to draw a branch of cherry blossom. 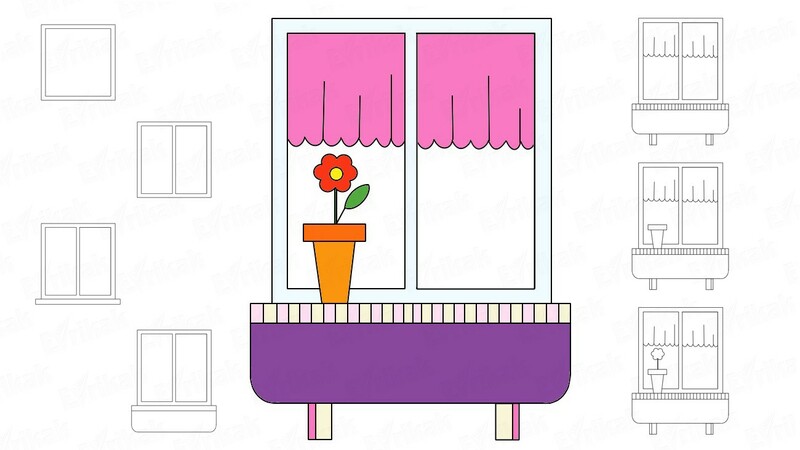 You can draw a picture or you can make a decor on the wall. You need a pencil in the process of drawing. The level of difficulty is simple. Take your pencil and start working. Good luck! 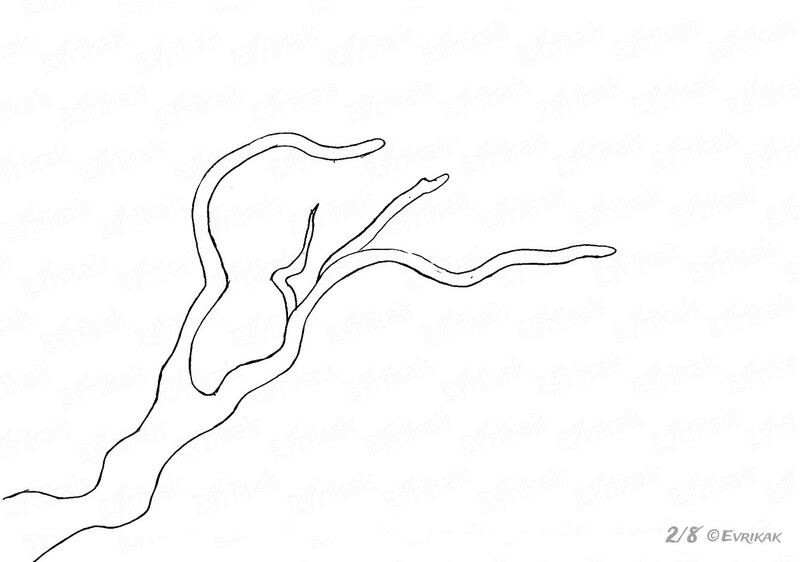 Draw the basis of a big branch with the help of the wavy lines. 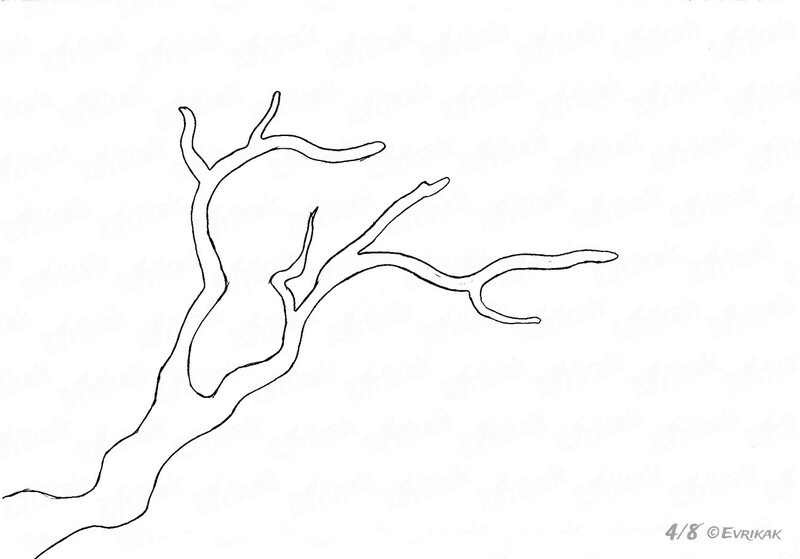 The top of the branch is cloven. It gradually splits into two thin parts. Small branches are attached to big ones on every type of tree. 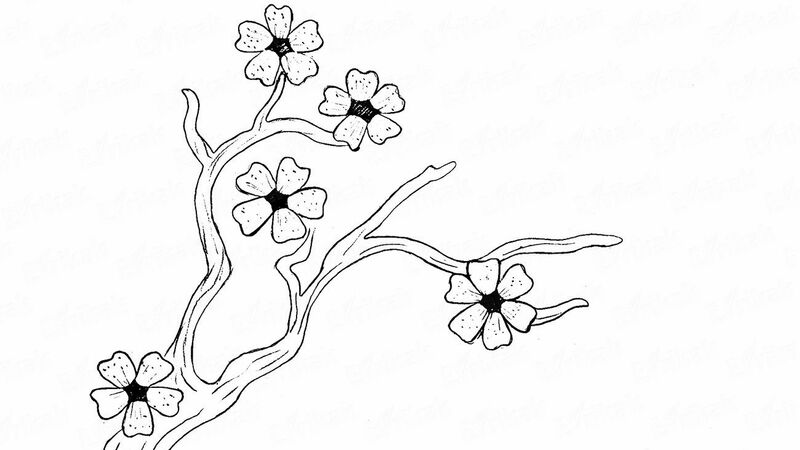 The distance between the flowers is very small due to such structure of the tree. That’s why the cherry blossom symbolizes the clouds in Japan. 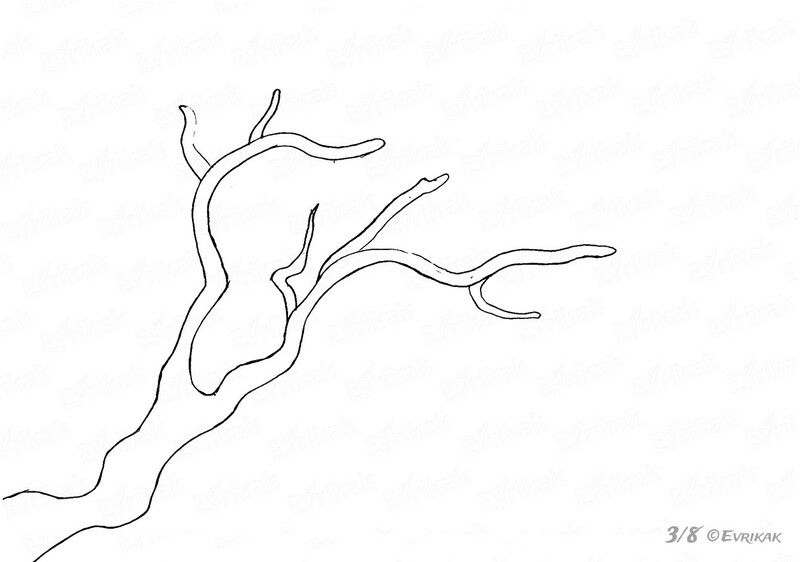 Add small twigs to each part of the big branch. All must be of different forms, direction and size. 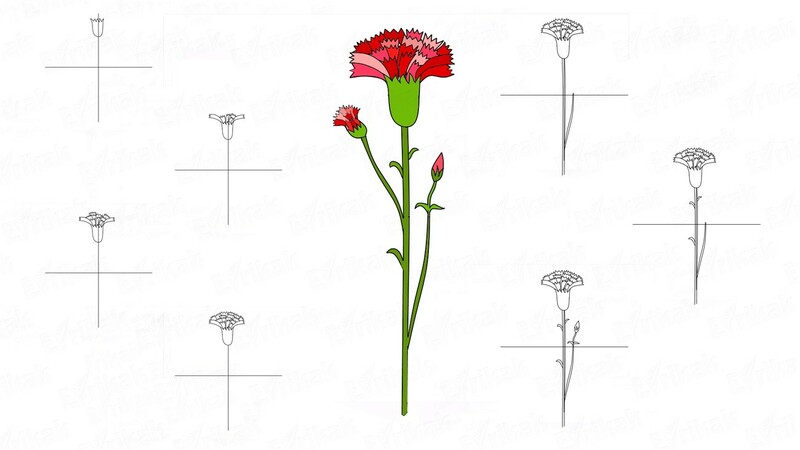 Nature is so talented, that’s why we can’t find absolutely identical plants. 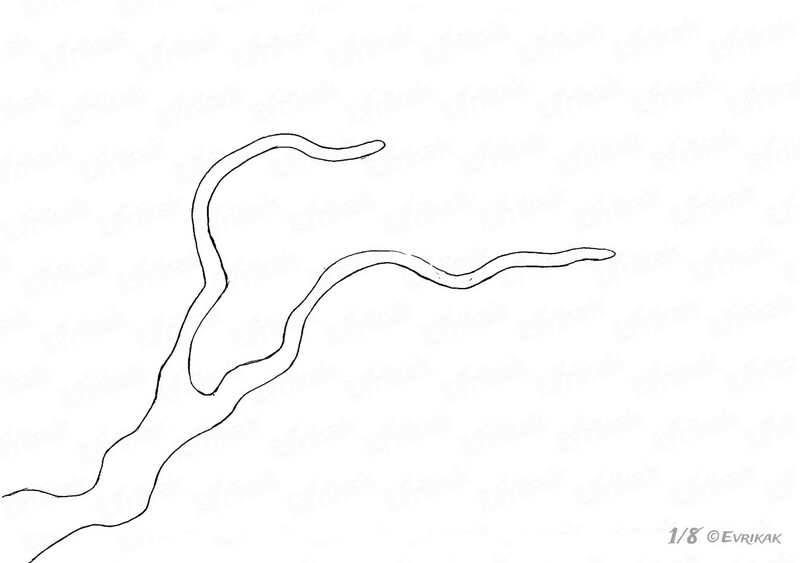 As you have noticed, we perform schematically the first stages of drawing. This simplifies the task. 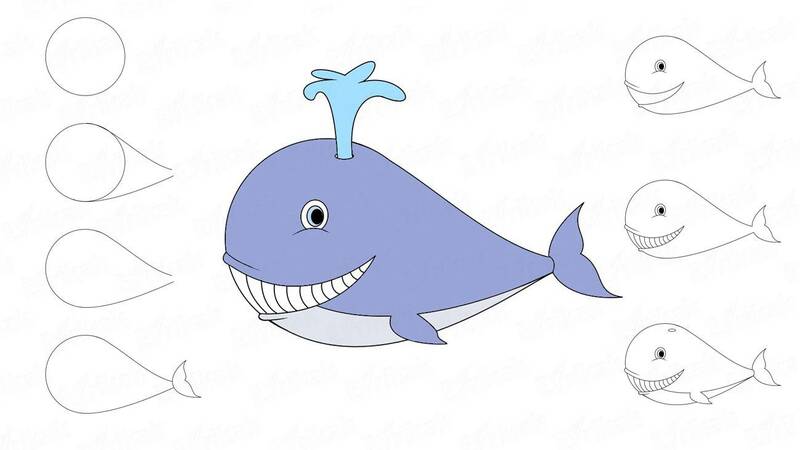 Erase the extra lines to get a full picture. Now we’ve got the right shape of Sakura branch. 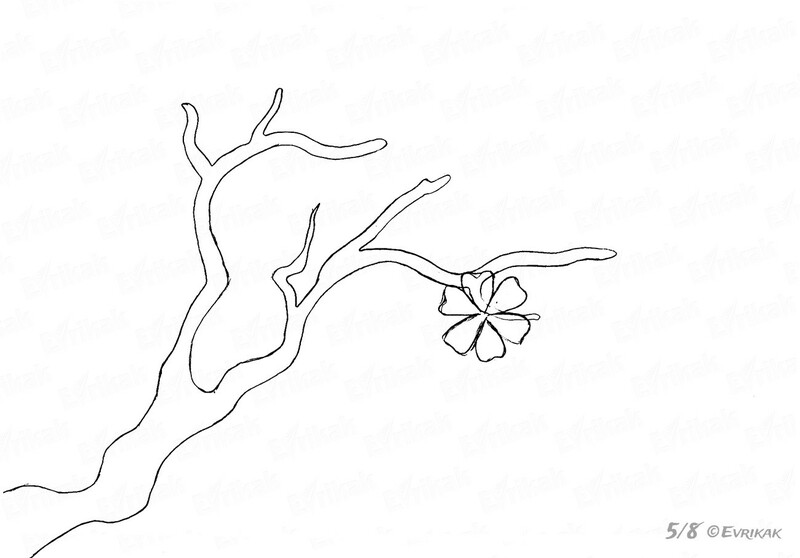 Start drawing the blossom, the main part of this tree. Cherry blossom is big in size. See the picture below. 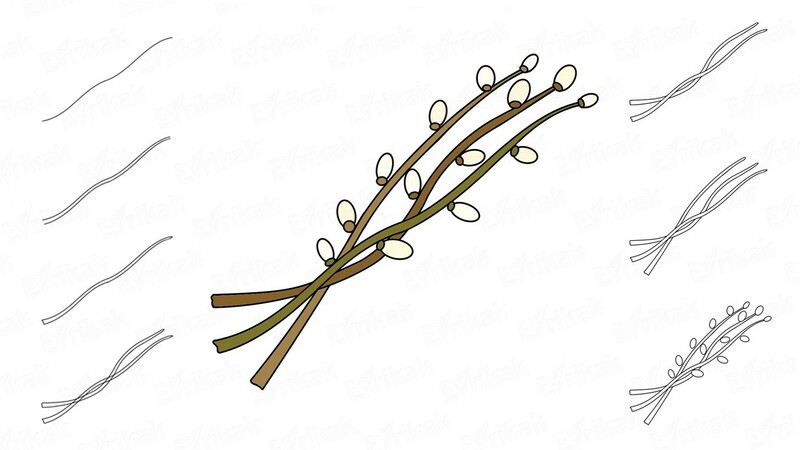 Attach the first flower to one of the small branches. 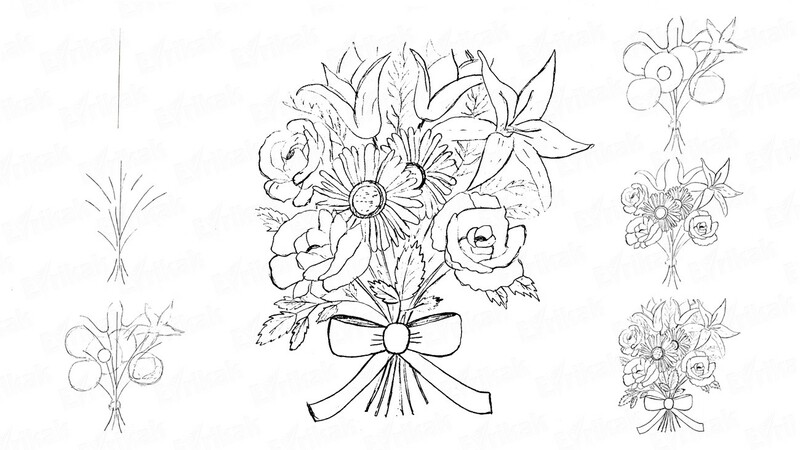 Draw the flowers on each branch. 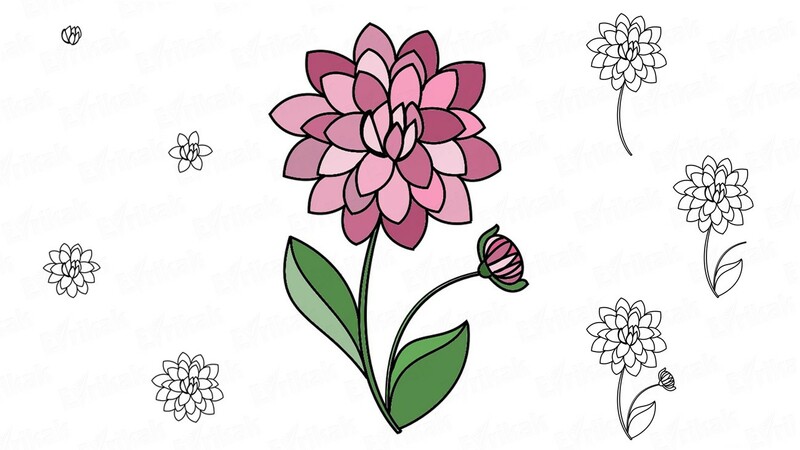 If you are drawing on the wall, we recommend you to make a flower’s template and draw the flowers by using it. Then all of them will be of the same shape and size. Moreover, you can draw a blooming branch of Sakura faster if you use a template. Don’t forget to erase the lines which intersect its elements to make the picture look beautiful. Erase all the unnecessary parts. 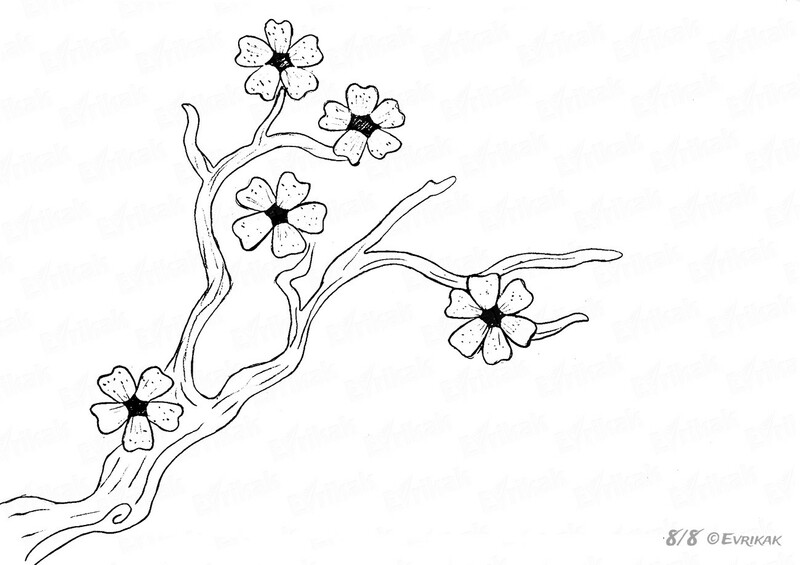 Add a few more strokes on the branch and flowers to make the cherry blossom look natural. 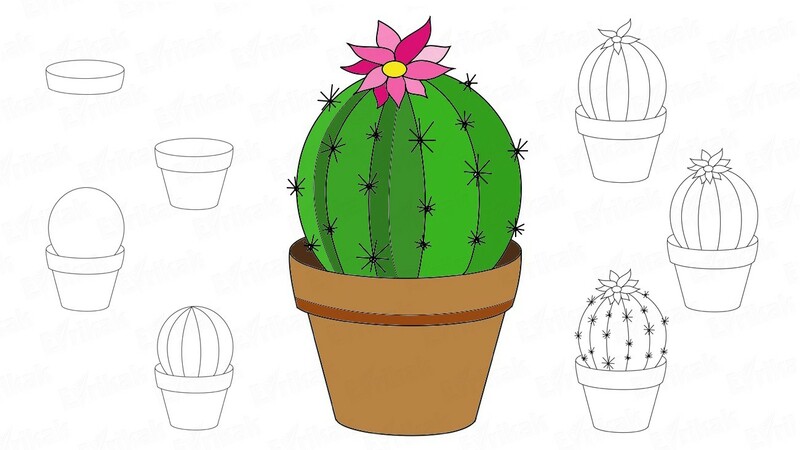 You can color your drawing with the help of the watercolors if you want.